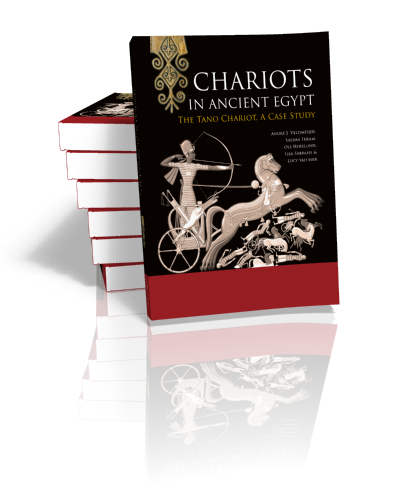 Chariots in Ancient Egypt. The Tano Chariot. A Case Study. 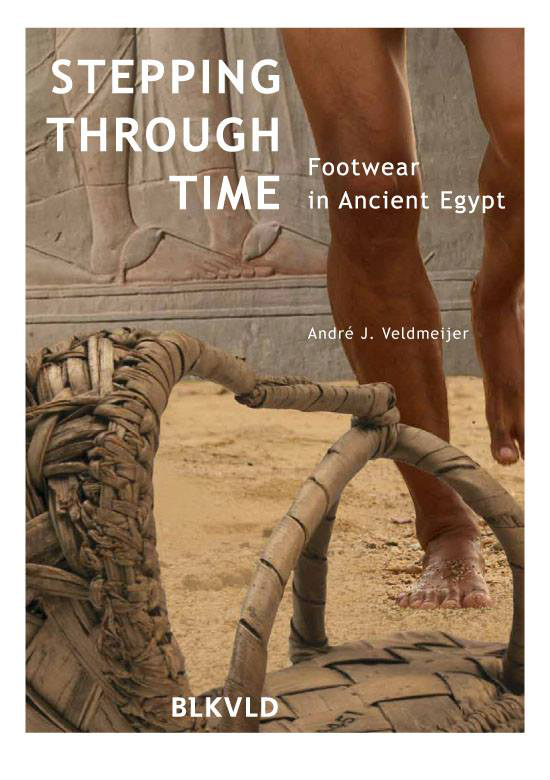 Edited by André J. Veldmeijer & Salima Ikram. Out now! A wide variety of leather objects or objects with leather parts have been discovered, including footwear, musical objects, loincloths as well as parts of furniture. The dating of these objects, mirroring the variety, ranges from Pharaonic to Ottoman. The present work describes these finds in detail, accompanied by colour photographs and drawings. The analysis includes the discussion of the provenance of the finds, the interpretation of the objects from a technological as well as typological point of view and dating. 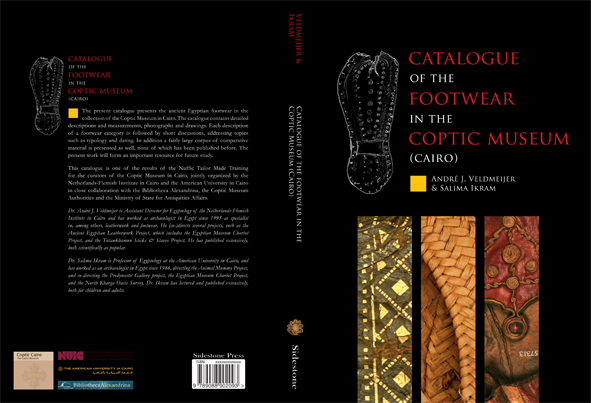 It is my pleasure to announce that the “Catalogue of the Footwear in the Coptic Museum (Cairo)”, written together with Salima Ikram (AUC) is published. It is available in cheap pdf and printed form. 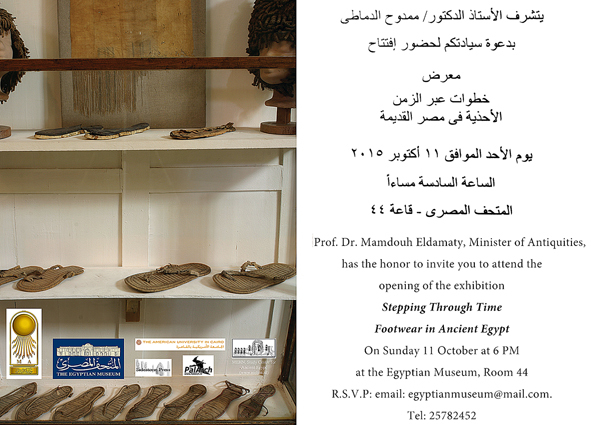 One can read it for free online in the e-library of the publisher, Sidestone Press (http://www.sidestone.com/bookshop/catalogue-of-the-footwear-in-the-coptic-museum-cairo). 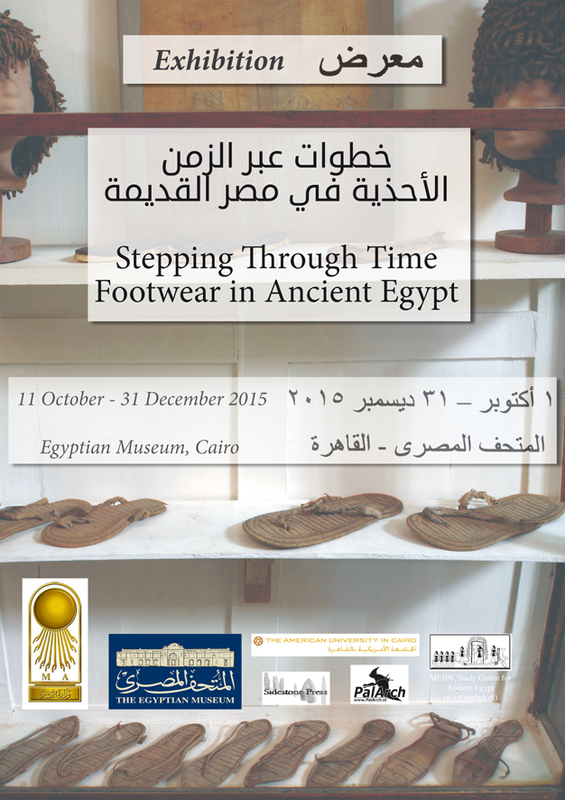 This catalogue presents the ancient Egyptian footwear in the collection of the Coptic Museum in Cairo. The catalogue contains detailed descriptions and measurements, photographs and drawings. Each description of a footwear category is followed by short discussions, addressing topics such as typology and dating. In addition a fairly large corpus of comparative material is presented as well, none of which has been published before. The present work will form an important resource for future study.This catalogue is one of the results of the Nuffic Tailor Made Training for the curators of the Coptic Museum in Cairo, jointly organized by the Netherlands-Flemish Institute in Cairo and the American University in Cairo in close collaboration with the Bibliotheca Alexandrina, the Coptic Museum Authorities and the Ministry of State for Antiquities Affairs. The ‘Why Leather’ volume is now available at http://www.sidestone.com/bookshop/?m=all&q=why+leather. It is available in pdf as well as printed version. In the e-library of Sidestone Press you can browse/read it for free!. 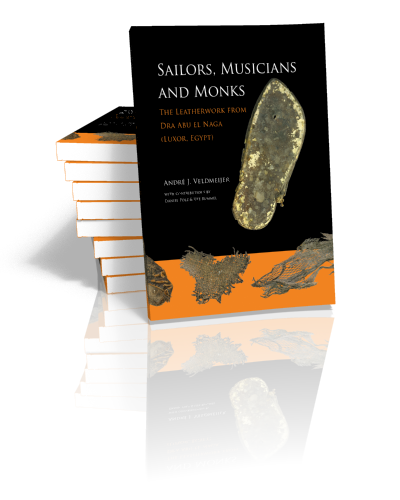 This pioneering volume brings together specialists from contemporary craft and industry and from archaeology to examine both the material properties and the cultural dimensions of leather. The common occurrence of animal skin products through time, whether vegetable tanned leather, parchment, vellum, fat-cured skins or rawhide attest to its enduring versatility, utility and desirability. Typically grouped together as ‘leather’, the versatility of these materials is remarkable: they can be soft and supple like a textile, firm and rigid like a basket, or hard and watertight like a pot or gourd. This volume challenges a simple utilitarian or functional approach to leather; in a world of technological and material choices, leather is appropriated according to its suitability on many levels. In addressing the question Why leather? authors of this volume present new perspectives on the material and cultural dimensions of leather. Their wide-ranging research includes the microscopic examination of skin structure and its influence on behaviour, experiments on medieval cuir bouilli armour, the guild secrets behind the leather components of nineteenth-century industrial machinery, new research on ancient Egyptian chariot leather, the relationship between wine and wineskins, and the making of contemporary leather wall covering. 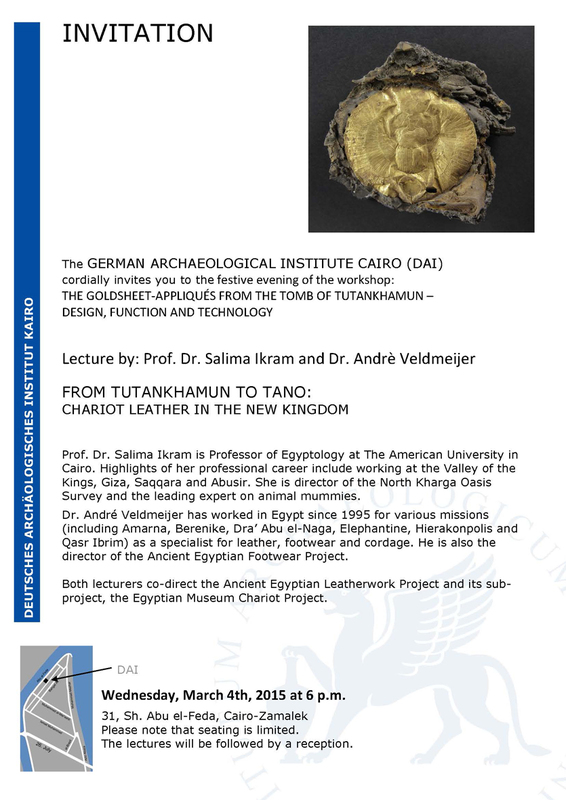 The Archaeological Leather Group promotes the study of leather and leather objects from archaeological and other contexts. The Group aims to provide a focus for the investigation of leather, and to develop new research by bringing together a broad range of knowledge and experience both practical and academic. Leather is explored through its manufacture, function, context, processing, recording, conservation, care and curation. Members come from a variety of disciplines and include archaeologists, historians, conservators, artefact specialists, materials engineers and leather workers. The Group normally meets twice a year and organises one scholarly meeting in the spring, and visits a museum, working tannery or other place of leather interest in the autumn. 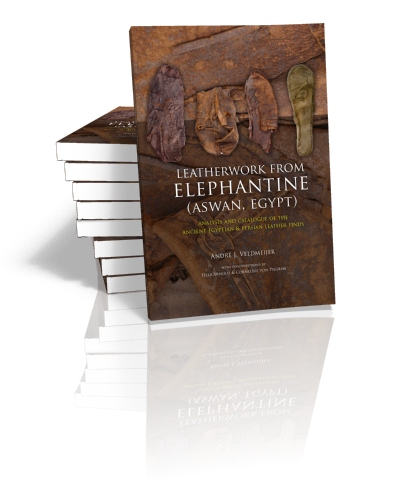 The Archaeological Leather Group Newsletter is published twice a year, and the website maintains a comprehensive and expanding leather bibliography.